Camilla the Cupcake Fairy's Tea Party Board Book Only $2.80 + FREE Prime Shipping! You are here: Home / Great Deals / Amazon Deals / Camilla the Cupcake Fairy’s Tea Party Board Book Only $2.80 + FREE Prime Shipping! 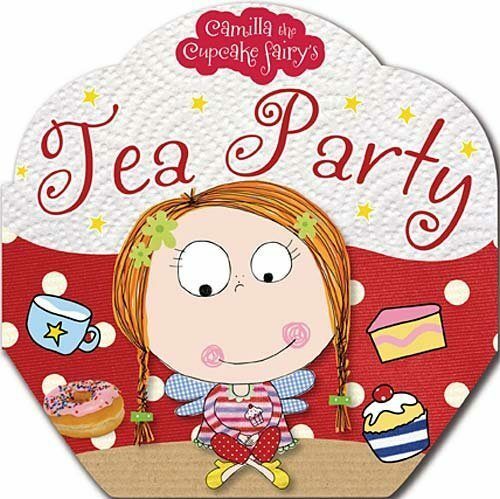 Camilla the Cupcake Fairy’s Tea Party Board Book Only $2.80 + FREE Prime Shipping! Mommas of little girls – I have a HOT book deal for you! Right now, you can get the Camilla the Cupcake Fairy’s Tea Party Board Book for just $2.80 + FREE shipping with Amazon Prime or Super Saver Shipping! This retails for $6.99. This looks like such a fun book that any little girl would love! And, it has great reviews! Join in with Camilla the Cupcake Fairy’s Tea Party! Each page of these cupcake-shaped books is packed with simple rhyming text and beautiful, lively illustrations. Young children will love reading about Camilla’s adventures and using their imagination to enter her world of cupcakes, fairies and sparkles!